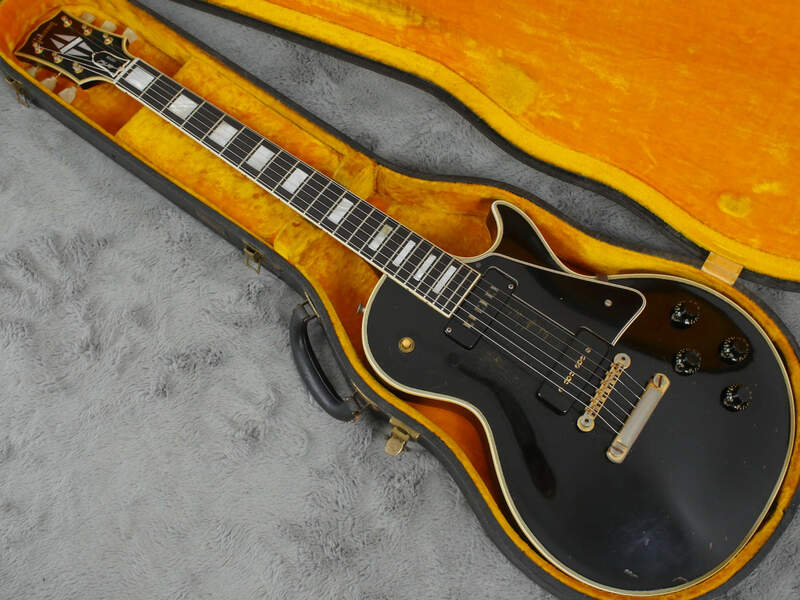 Cannot find a single thing out of place on this remarkable example of the classic 1955 Les Paul Custom with original case and strong pickups that really belt it out. 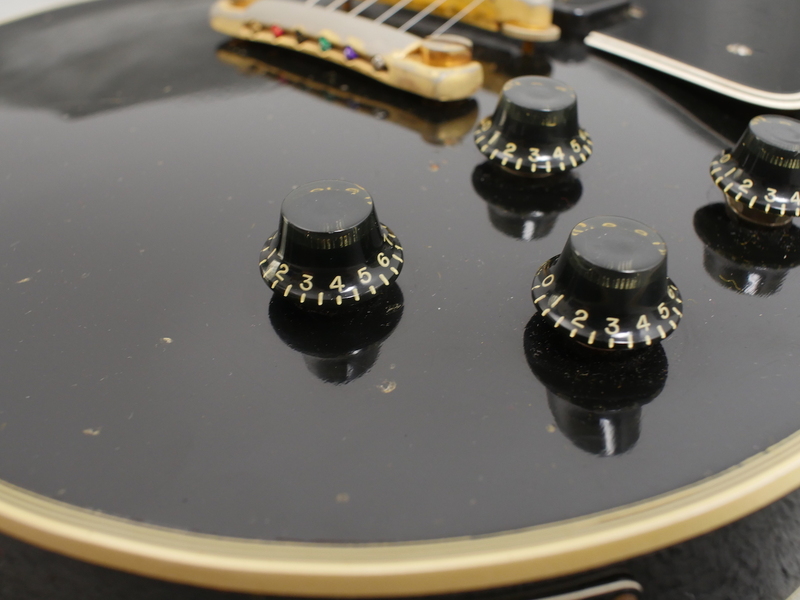 This thing rocks! 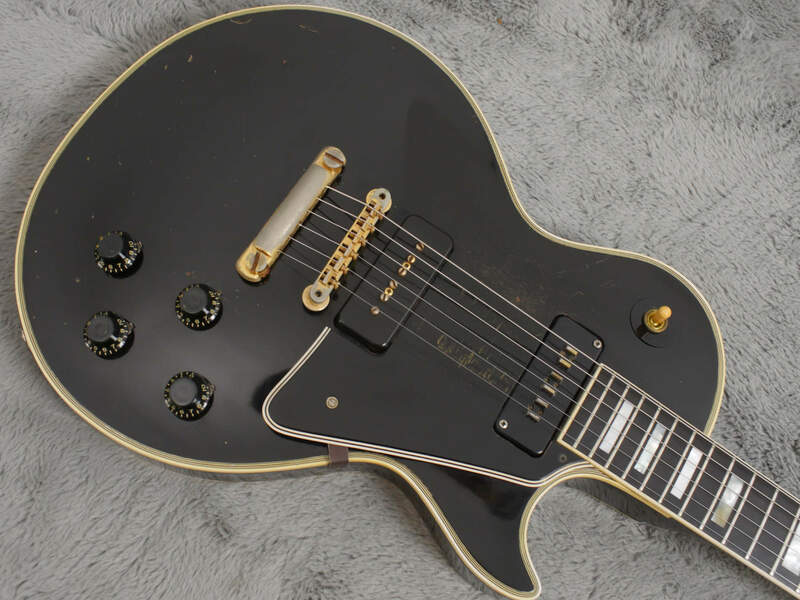 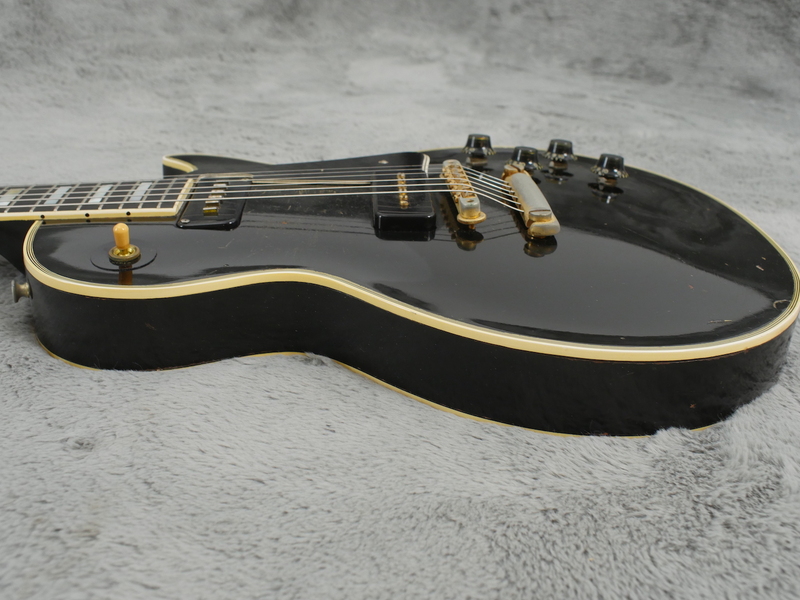 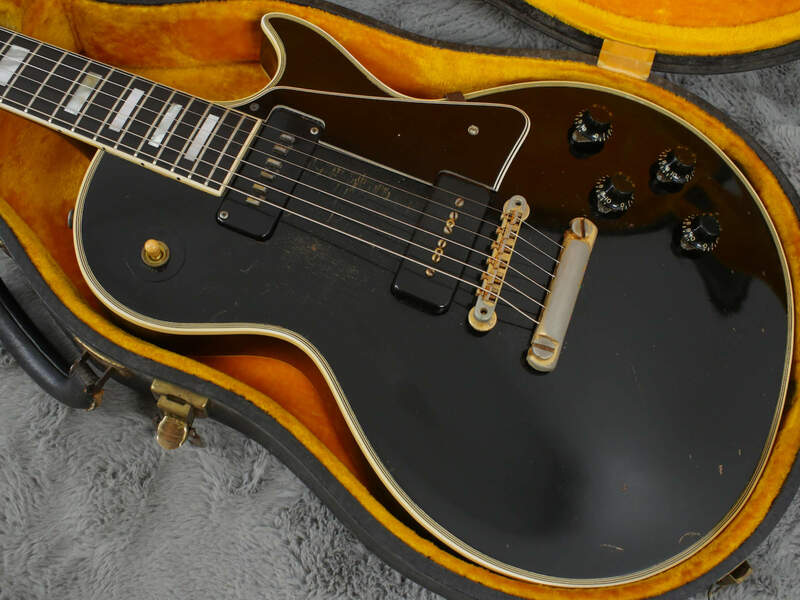 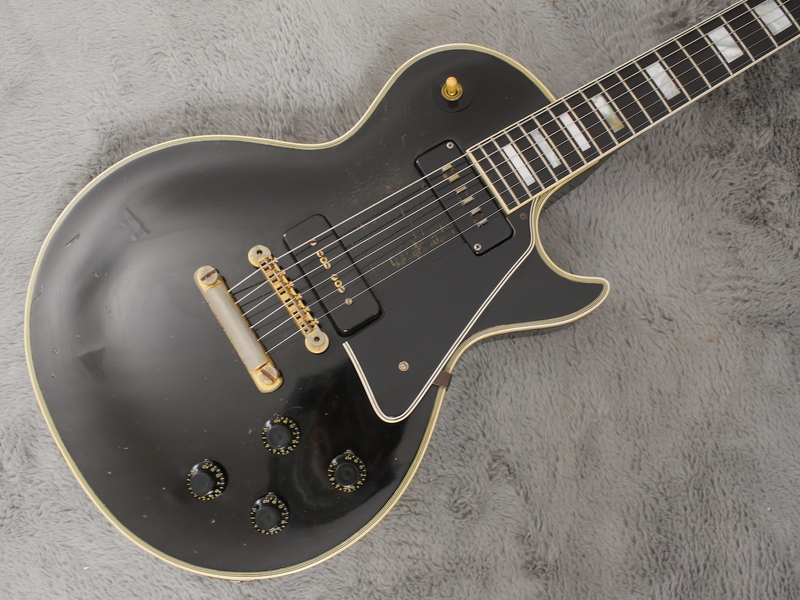 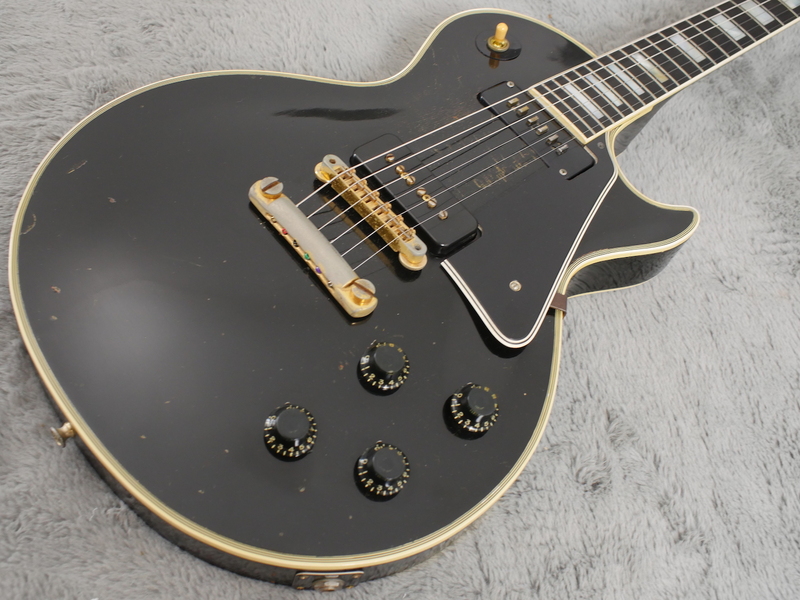 1955 Gibson Les Paul Custom in very fine condition, all 100% correct and not a thing out of place including the black/gold OHSC. 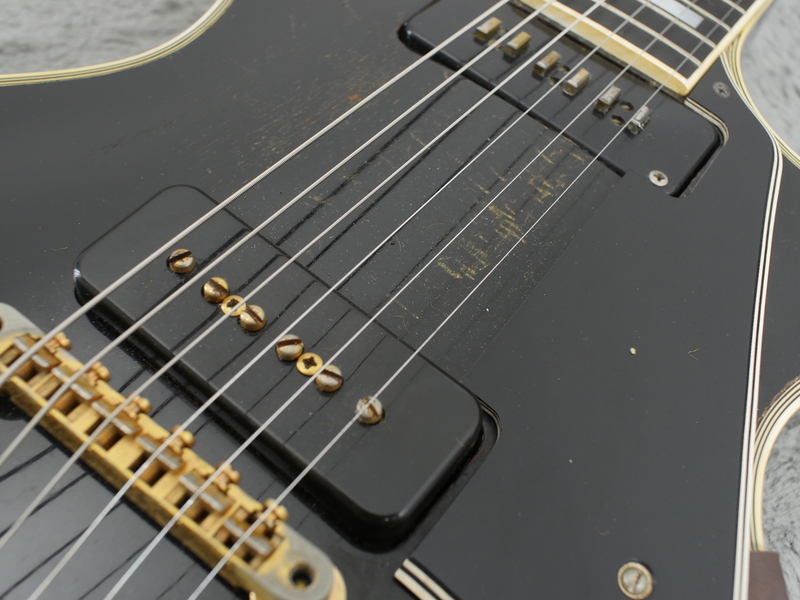 We love these guitars and they are one of the most under rated tone machines from this era. 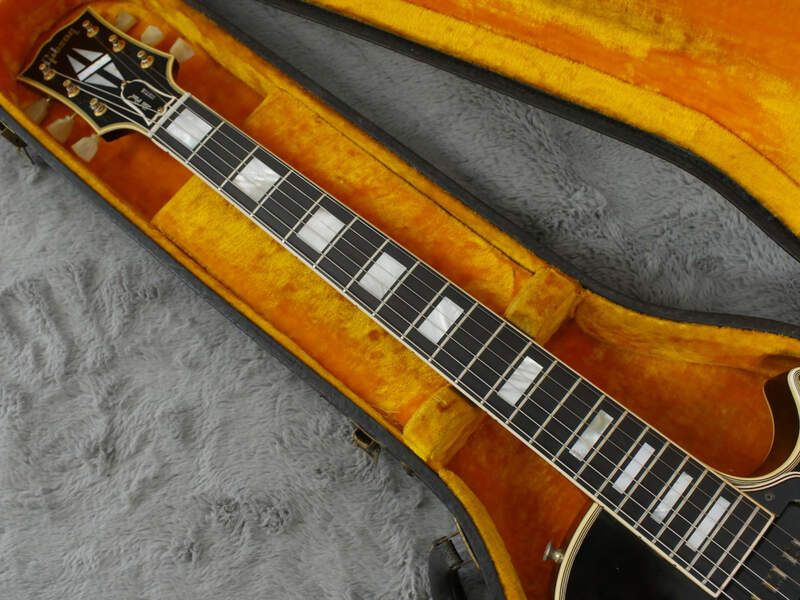 All mahogany body construction with no maple cap seems to suit the Les Paul Custom a fair bit better then a maple cap in our opinion. 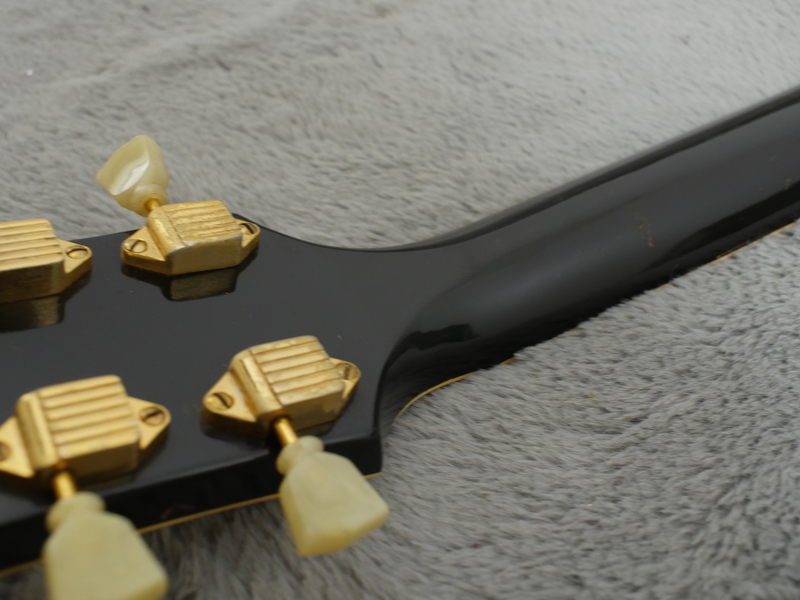 It is not as bright, but the depth of power and sheer guts more than make up for this in it’s tonal kaleidoscope. 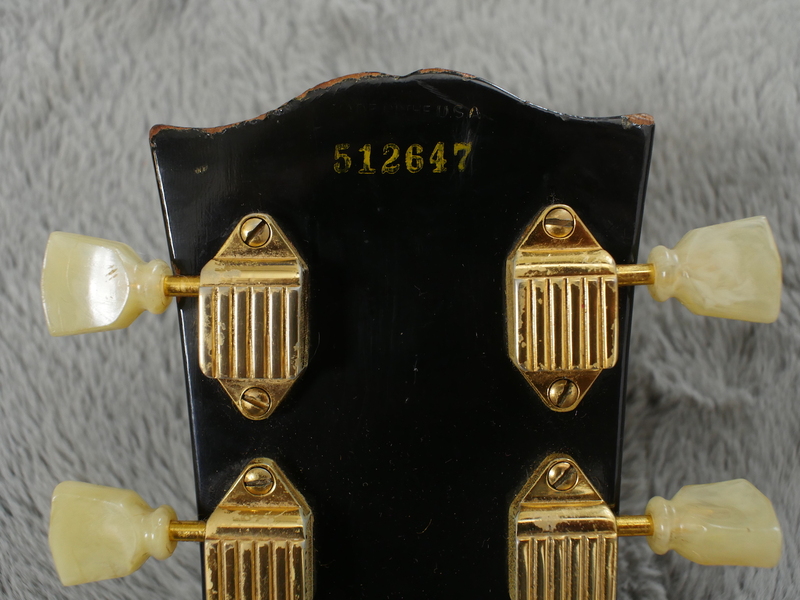 This nice example has a very nice top carve, which in our experience is at it’s most prominent during the ‘55 and ‘56 years. 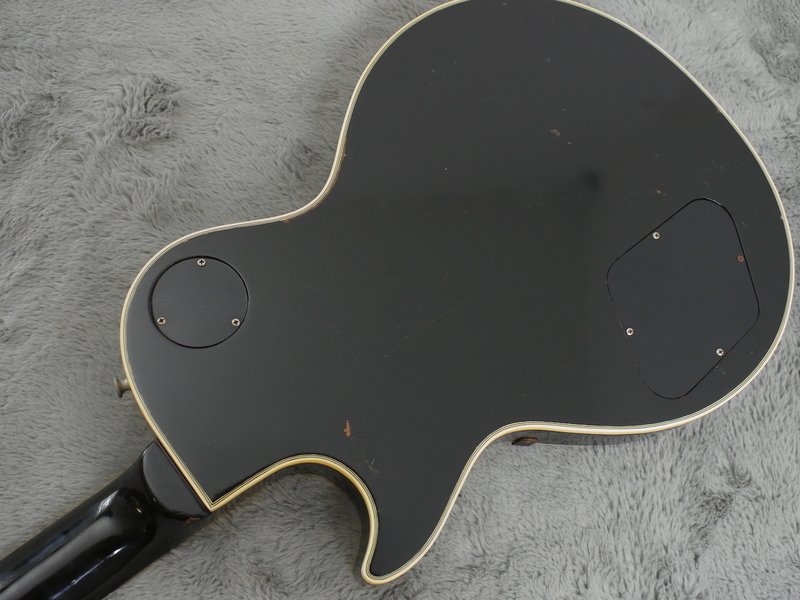 Just a small amount of checking and a few dings plus a bit of wear between the pickups. 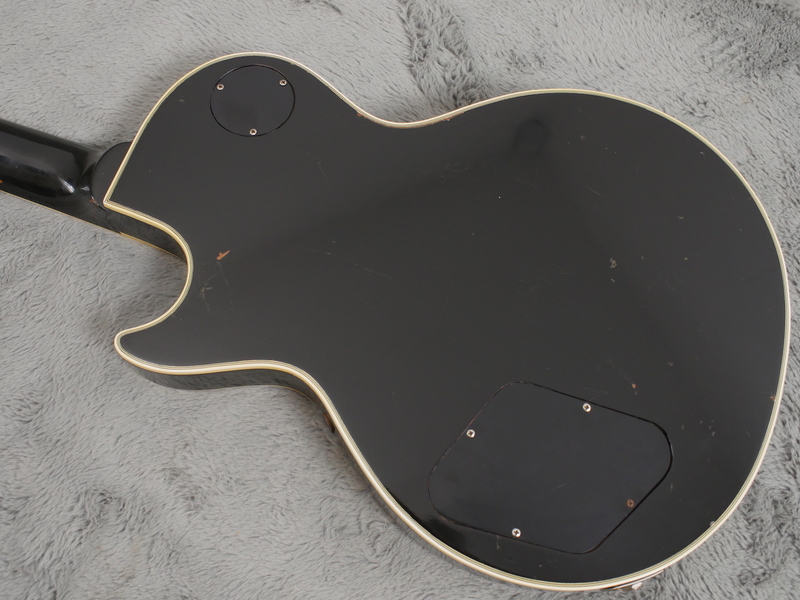 There are no finish issues, no touch ups and all solder is intact and virgin. 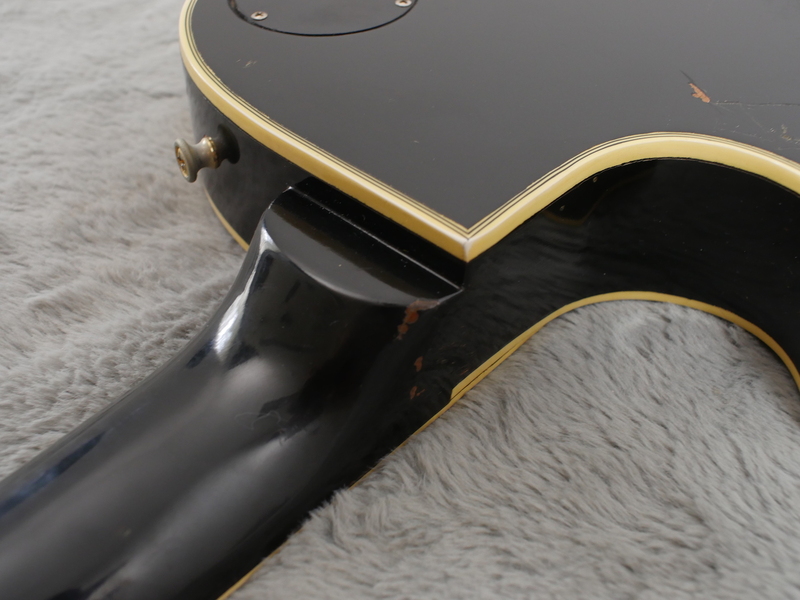 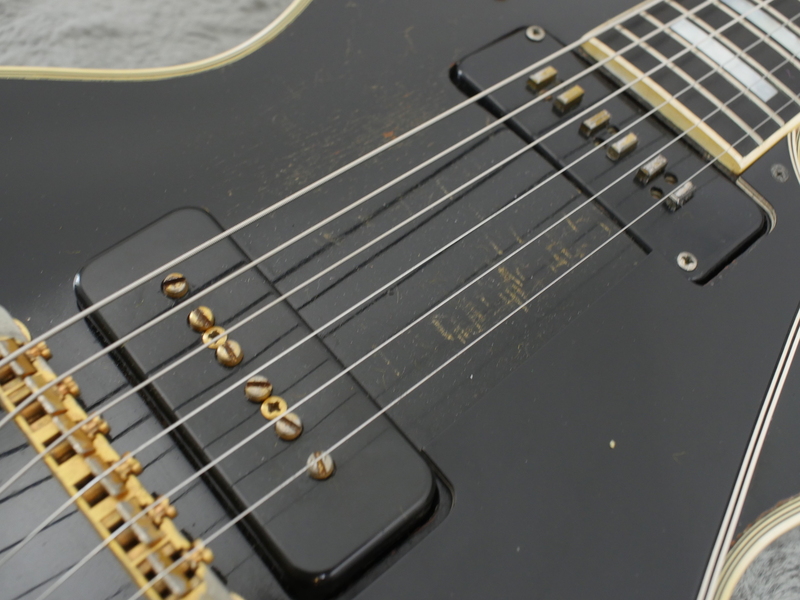 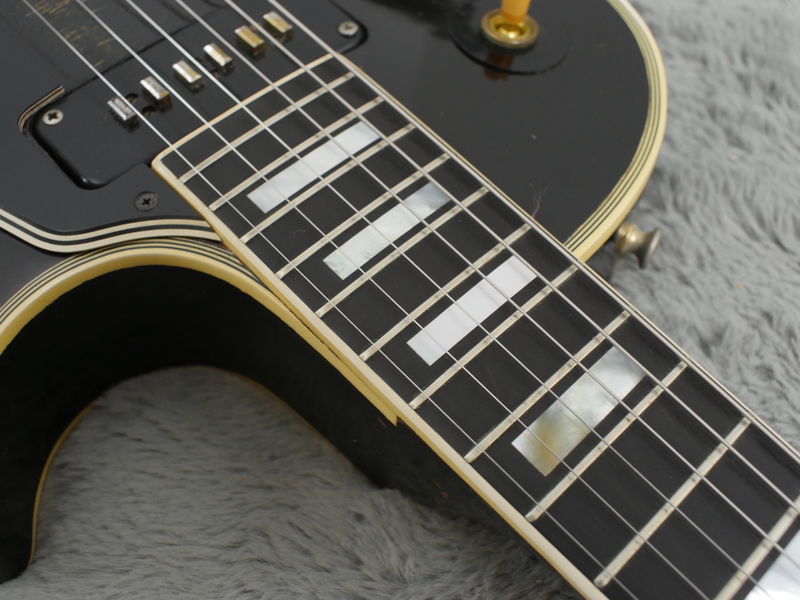 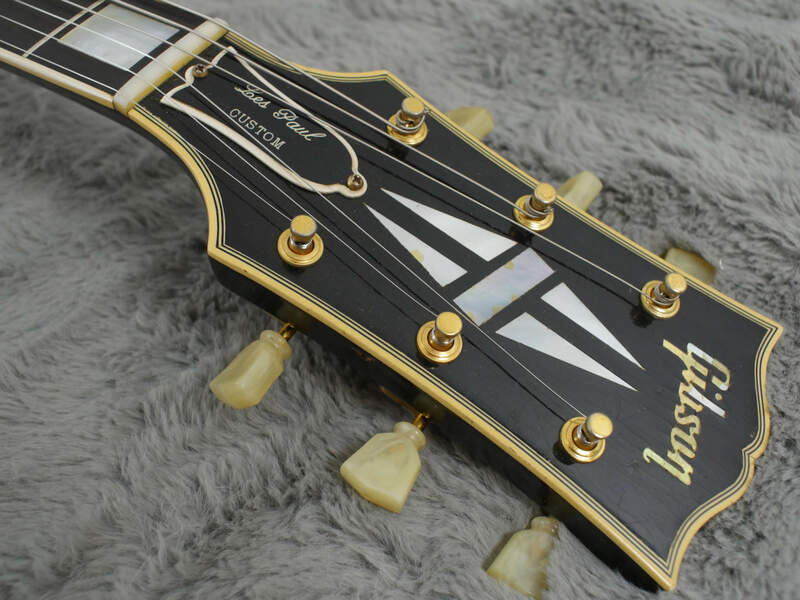 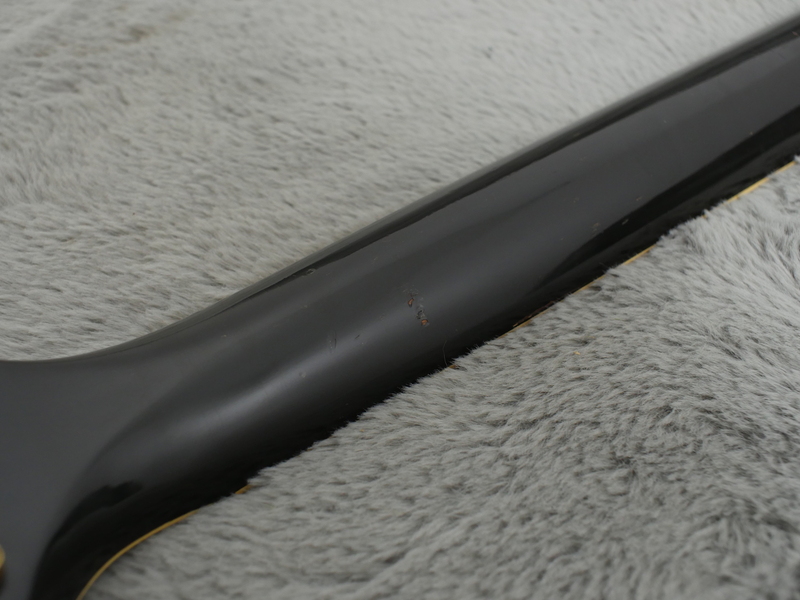 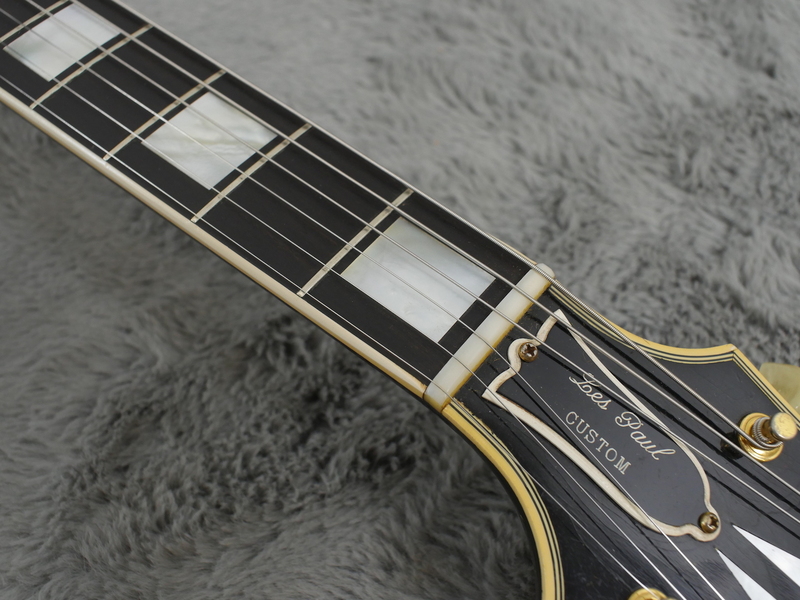 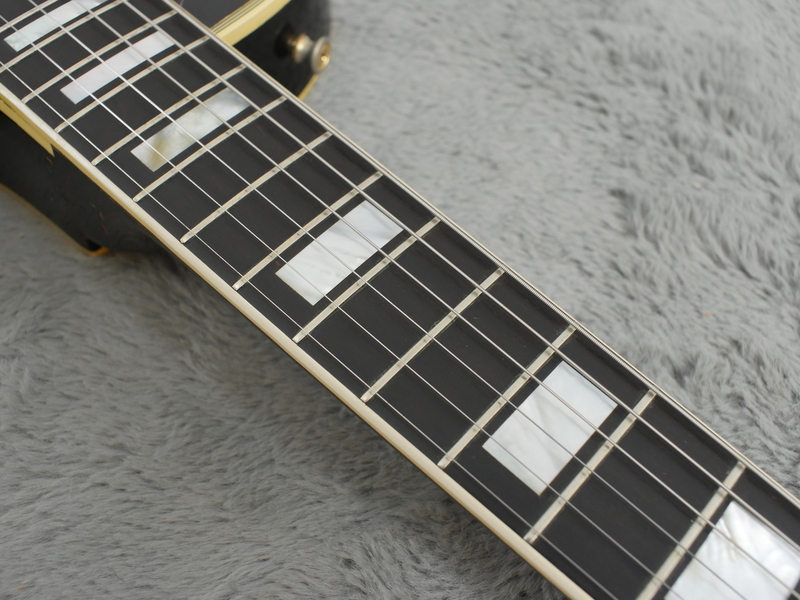 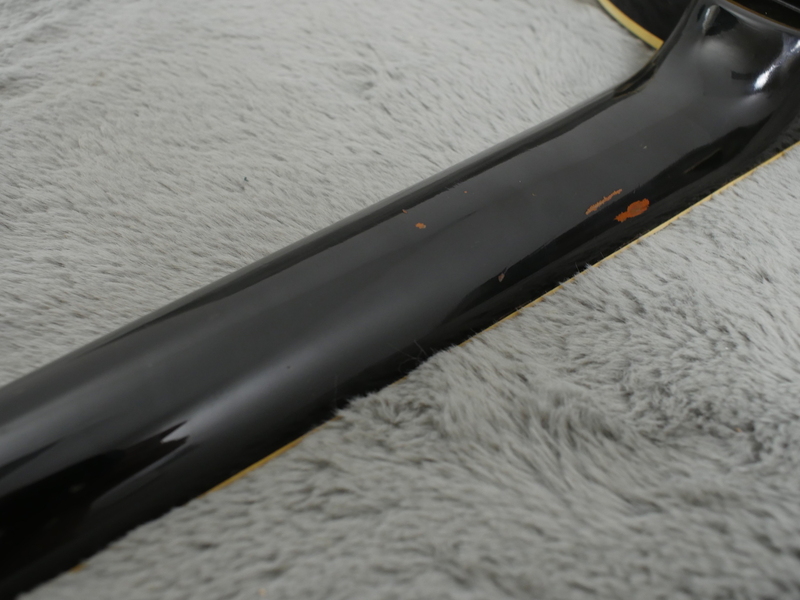 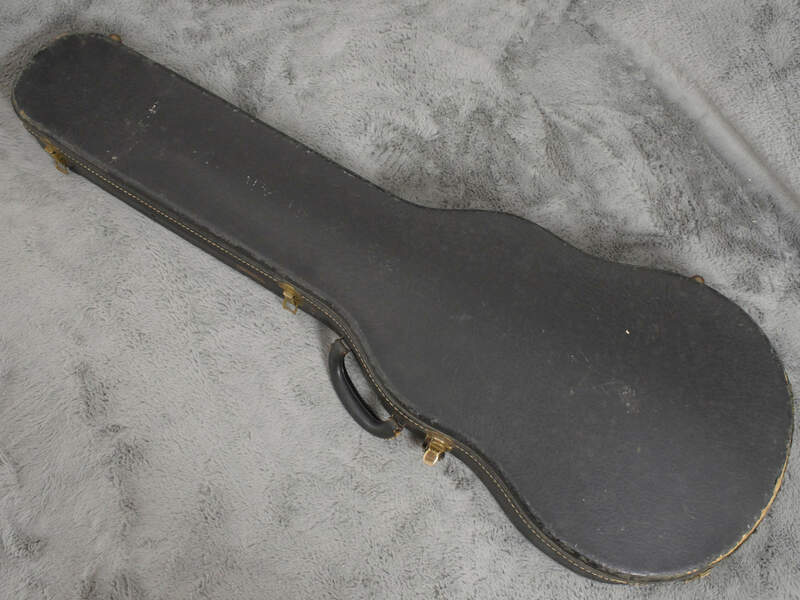 All hardware from the truss rod cover to the strap button is also 100% correct. 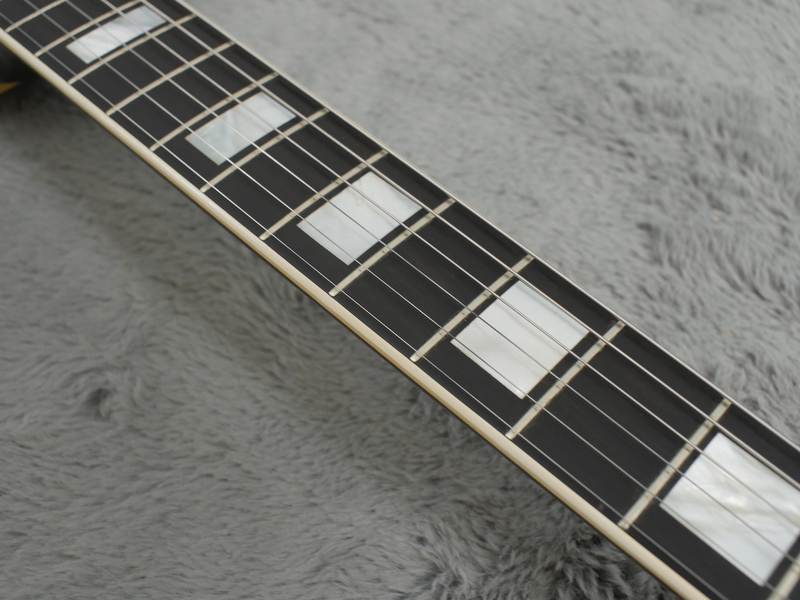 Original frets with a lot of decent play left on them are nowhere near as bad as some make out and in our opinion before you think about ripping these originals out and replacing them with fat frets, try them out and live with them for a while. 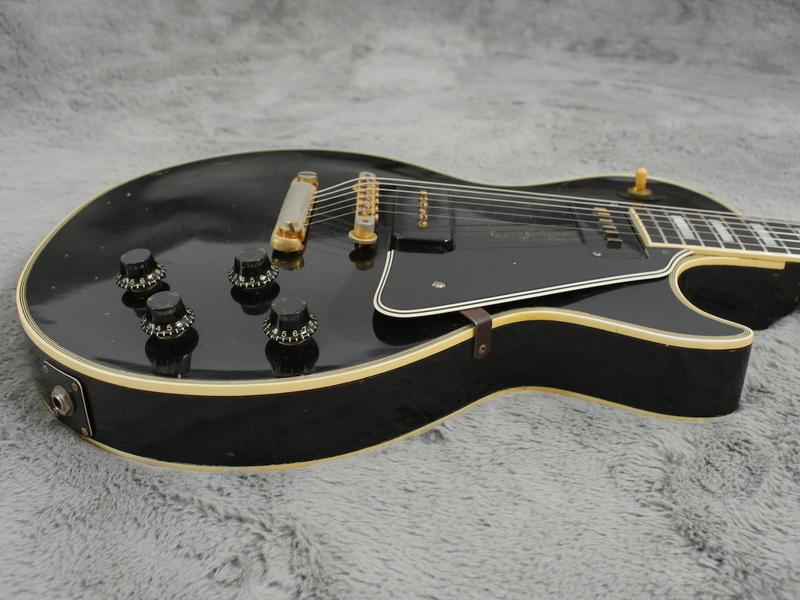 You will probably warm to them - we have, there are no problems playing them and like the SG LP Customs we have sold and the ES-355’s are just part of the guitars character. 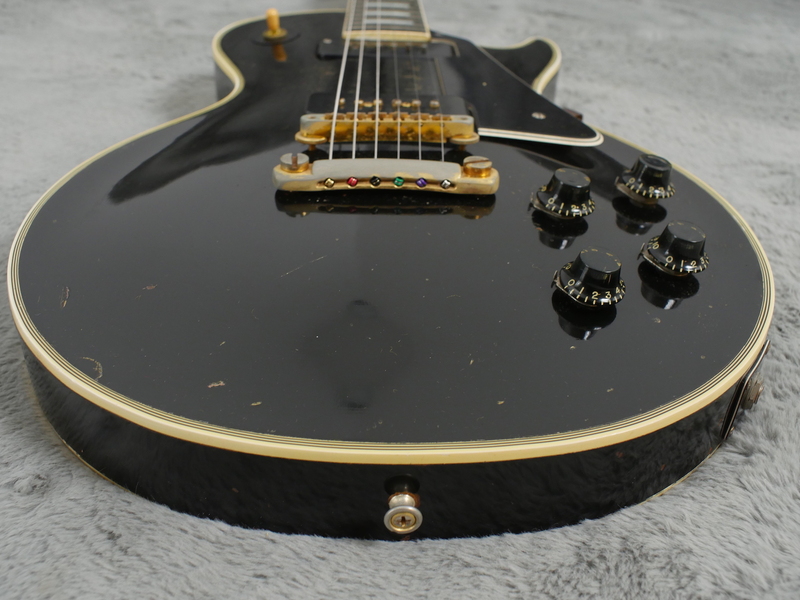 However, should you purchase this, you are of course totally free to do with it what you prefer. 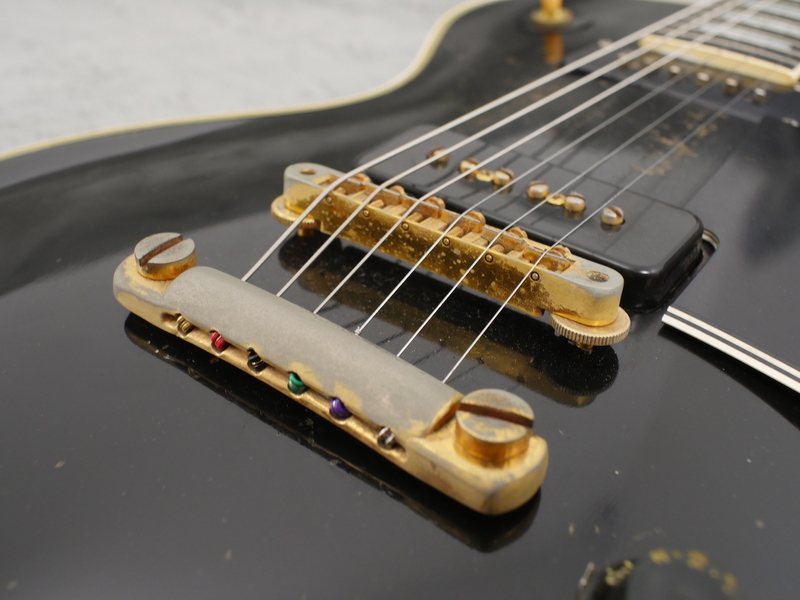 Pickups are red hot, super strong (both of them) and as powerful as anything you expect from a vintage P-90 and Alnico V. Both are well balanced and can provide as much tonal character as you desire on a guitar like this. 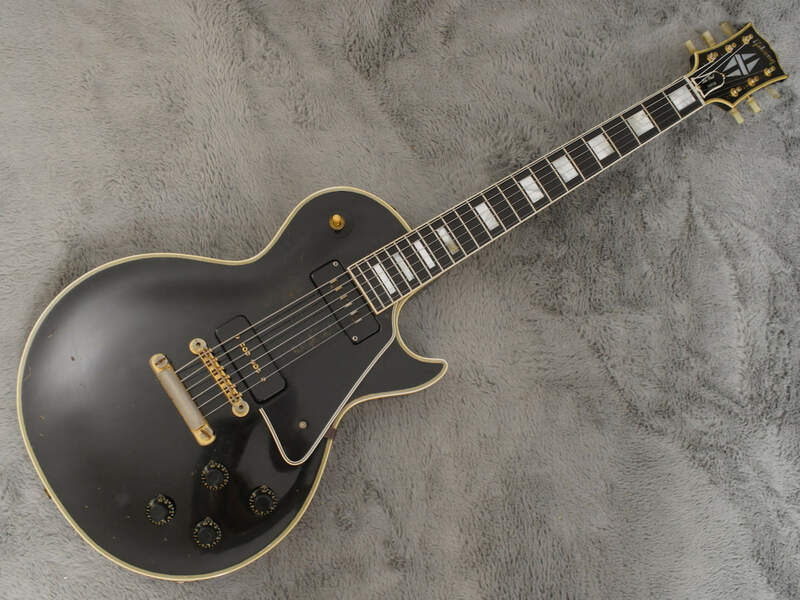 Beautiful classic design just looks so right and as well as being a powerhouse of tone is also some pretty nice eye candy. 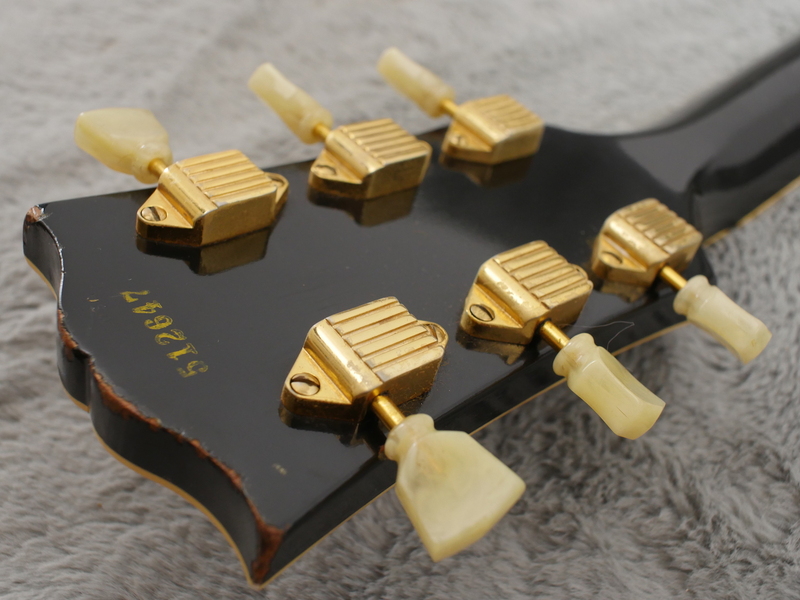 Neck is medium chunky as you would expect but not overly so, in fact just about the same as the 58 Goldtop we just sold.